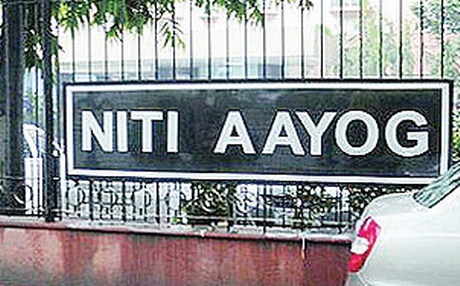 The Niti Aayog has managed to stamp its presence on the country’s policymaking stage after making a slow start, but emerging as a key link between ministries, states and as an umpire on contentious issues. In its days after it replaced the ertswhile Planning Commission, the entity hardly had any impact. But nearly two years down the line, the institution has worked its way and even caught Prime Minister Narendra Modi’s attention. For an entity which critics thought would be irrelevant, its hands are now full dealing with a wide spectrum of policy issues. The 15-year vision document, a seven-year strategy paper and a three-year action plan are in the pipeline. These documents will replace the scrapped five-year plans and also help the entity emerge as a serious thinktank.The Aayog, headed by Columbia University professor Arvind Panagariya, has now acquired a critical role in resolving pending disputes of states with central ministries as well as influencing major policies of the Centre . This is evident from the PM’s decisions to hand over crucial issues such as scrapping of the Medical Council of India (MCI), finalising the policy for strategic sale and shutting down state-run firms, finalising land leasing laws and approval of the high speed Mumbai-Ahmedabad railway corridor to the body .